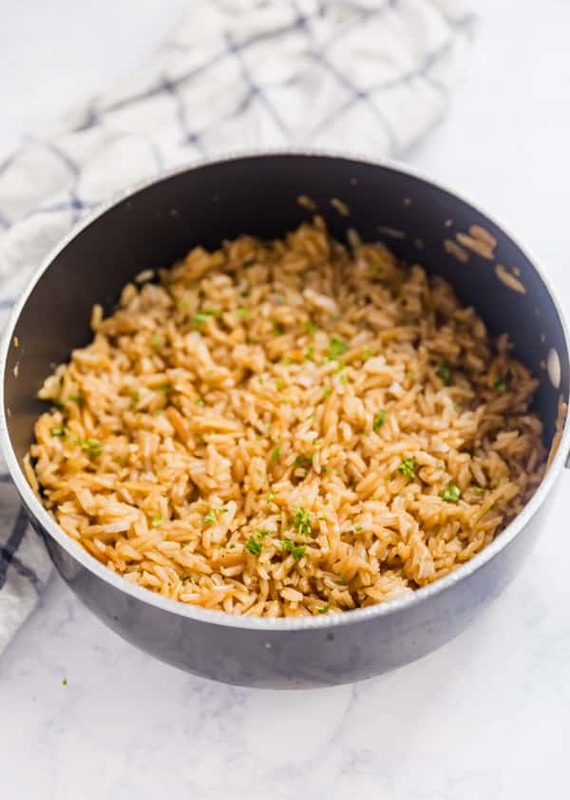 French Onion Rice Pilaf is full of savory flavor! 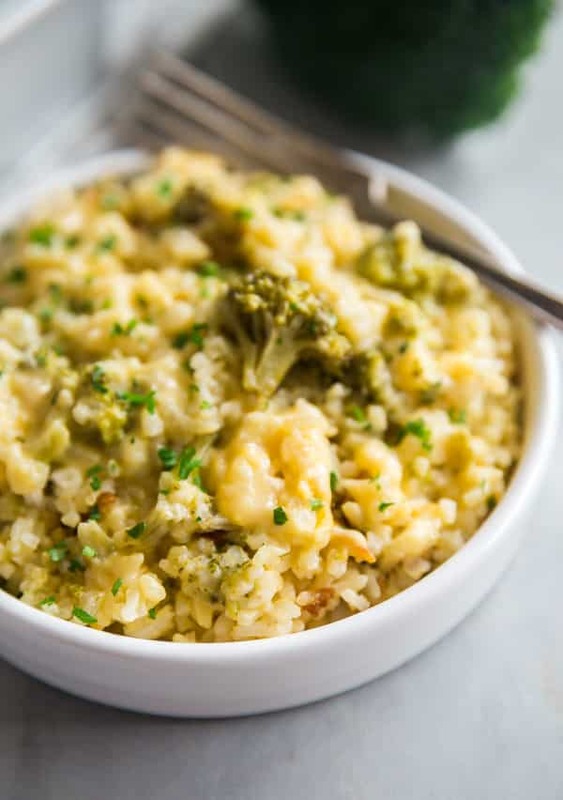 It’s a side dish that’s as easy to make as it is delicious with only a little bit of work at the beginning an then you let your stove do it’s thing so you can attend to the rest of your meal! We are totally a rice packet family. Up until very recently, I’ve never actually made rice pilaf on my own. I always just made the packets because they were so darn easy and pretty tasty. But I finally decided that it’s time I made my own rice pilaf. 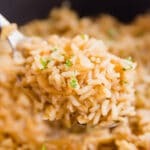 Now you’ll notice I used one of those tasty french onion soup mix packets (hence why it’s called a french onion rice pilaf recipe). Gimme a break on this. They’re an excellent short cut to get tons of flavor with minimal effort. 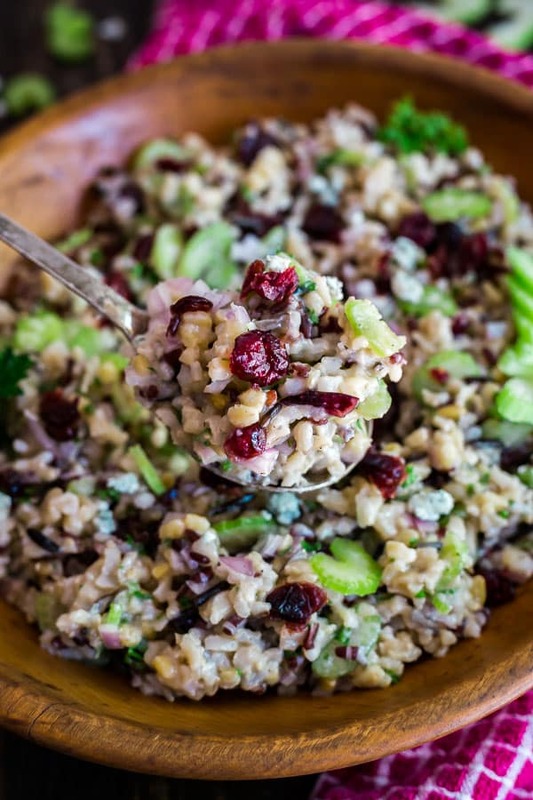 What is rice pilaf? 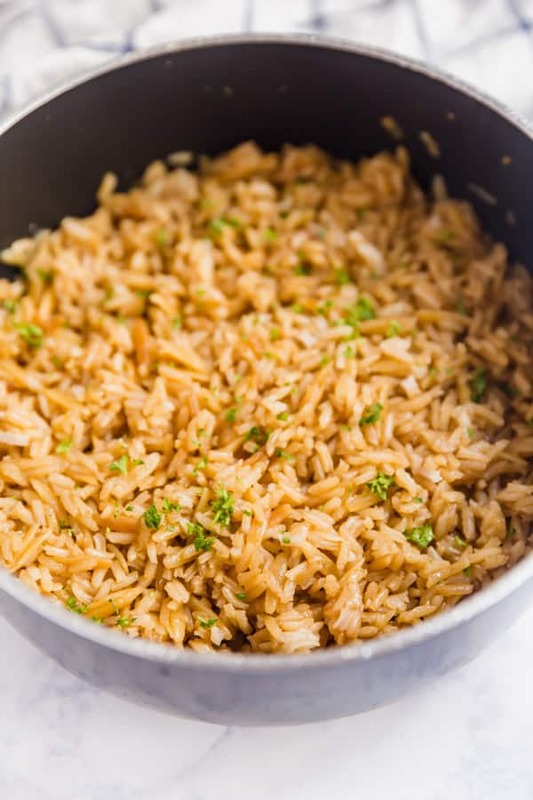 Traditionally, rice pilaf is rice cooked in seasoned broth. It’s often fried in oil first until golden. You can add various veggies and spices. Is orzo rice? 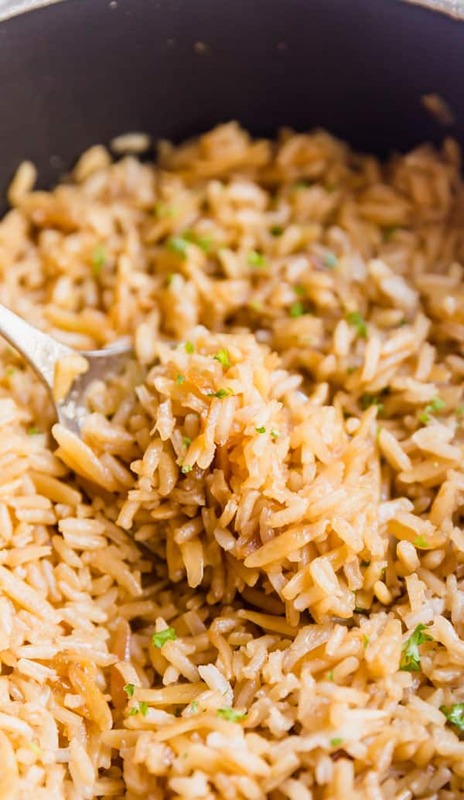 No, orzo is a short-cut pasta that goes well in rice pilaf. You can also use vermicelli, just make sure you cut it down first. 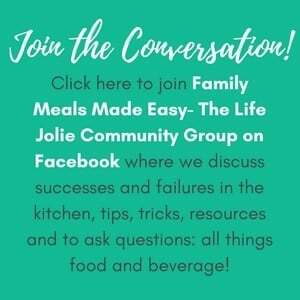 How long does rice pilaf cook? 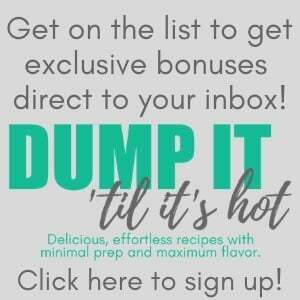 Recipes will vary, but my recipe takes around 35-40 minutes total. But don’t worry, 30 minutes of that is inactive time for you. Can you substitute olive oil? Yes. 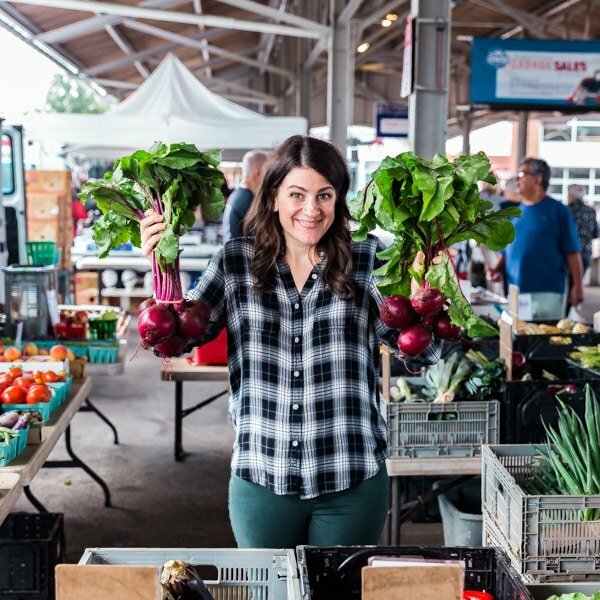 The flavor will be a little different but still totally delicious! Melt butter in a medium pot over medium high heat. 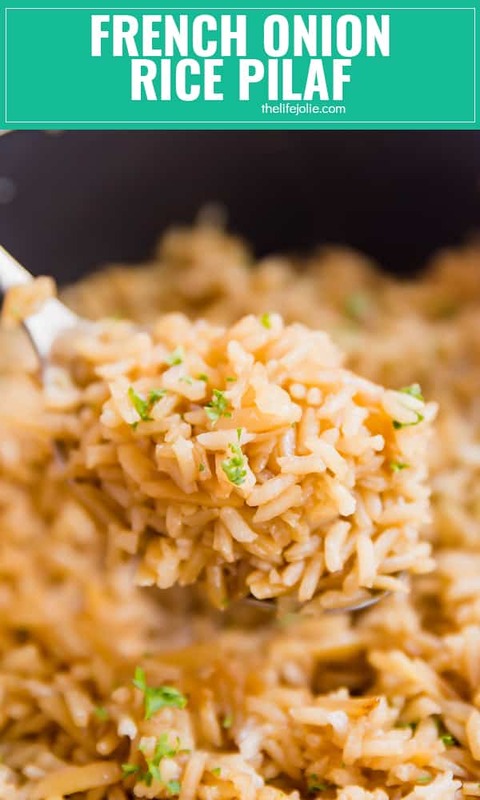 Add rice and orzo and cook until they start to get golden stirring often, about 5-7 minutes. While the rice cooks, bring the broth to a boil in another pan. Add the onion soup seasoning to the rice and stir to combine. Slow pour the boil broth into the rice (be careful because it bubbles up quite a bit). Simmer for 20 minutes and then turn off the heat and let the covered pot sit on the hot burner for another 10 minutes. Remove the cover and fluff the rice with a spoon. Serve immediately. April 13, 2018 at 2:30 pm Holy cow! 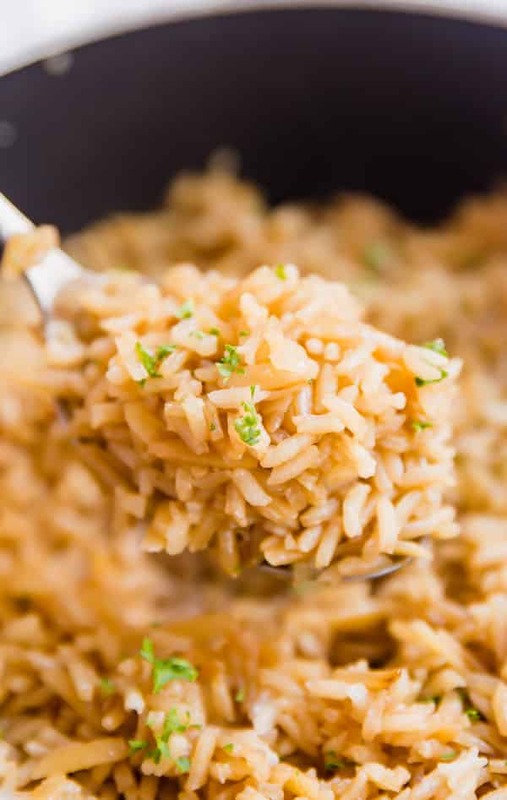 What a flavorable rice recipe. I love French Onion soup, and when I saw this recipe I knew I had to try it. I used chicken broth and it was just so good--it's a keeper! April 15, 2018 at 8:12 pm Thanks Anna- you totally made my day! So glad you loved it!